The Spanish pair passed the round in the World Cup track cycling event in Cambridge, although they could not overcome the Poles Marlena Karwaca and Urszula Los. 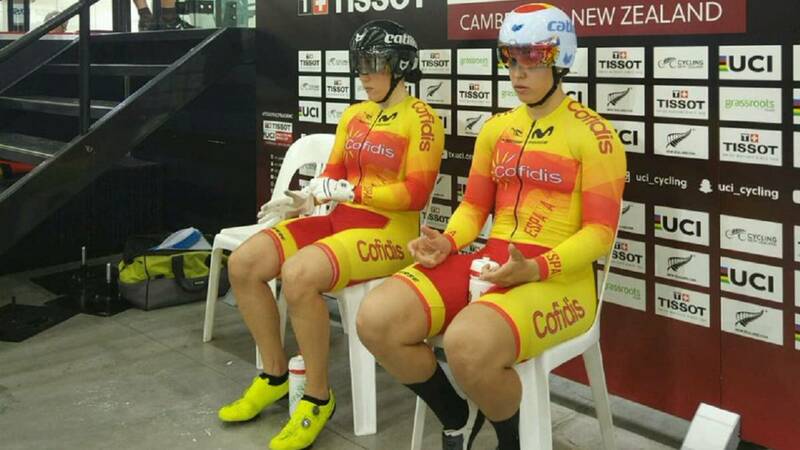 The Spaniards Tania Calvo and Helena Casas finished in seventh place in the speed test of the World Cup stage of track cycling in Cambridge (New Zealand) . Calvo and Casas achieved seventh place in the qualifying with a time of 33.824, with which they passed of round for the first time in the present World Cup. Since, the Poles Marlena Karwacka and Urszula They were too powerful and with a time of 33.541 won the Spanish duo, which scored 33.677. Juan Peralta, Pepe Moreno and Alejandro Martínez could not overcome the classification to be eleventh with 44.884.